A young green sea turtle relaxes as workers from the Maui Ocean Center care for it. Located in Ma’alaea, Maui, the center raises several kinds of animals, including Hawaiian Green Sea turtles. Turtles are about the size of a quarter when they hatch. 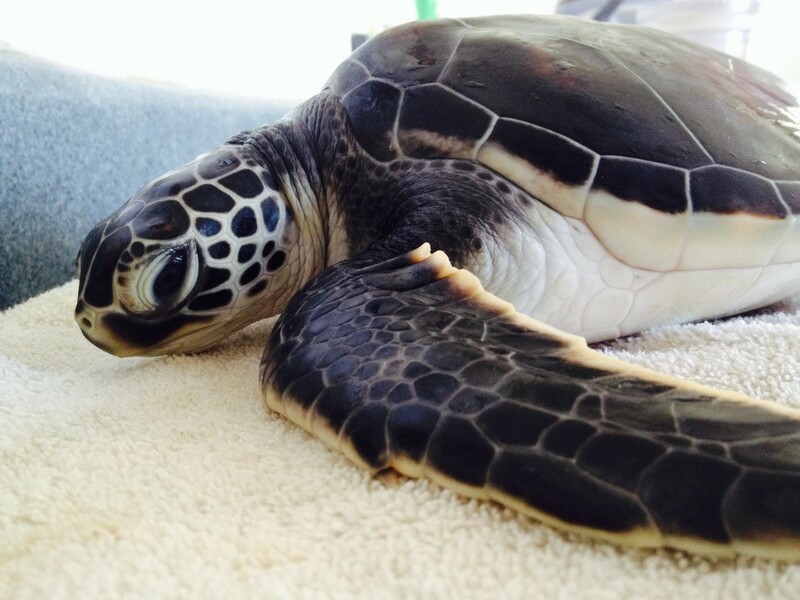 A full-grown green sea turtle is about 5 feet long and weighs a couple hundred pounds.